Bradford-based laundry chemicals manufacturer Christeyns, has recently won a contract to supply hotel Adare Manor with laundry detergents and supporting machinery. 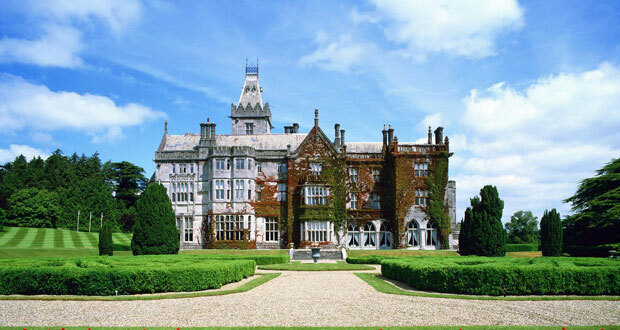 Adare Manor, located on the banks of the River Maigue in County Limerick, Ireland, is the former seat of the Earl of Dunraven and Mount-Earl and now a luxury five-star hotel. The property, set on 840 acres and incorporating a championship golf course and the only La Mer Spa in the British Isles, was awarded ‘Hotel of the Year 2018’ at the Virtuoso Best of the Best Awards. In summer 2017 the venue underwent extensive refurbishment and now hosts 104 bedrooms, a ballroom that can accommodate up to 350 guests, a year round wedding business, plus its dining facilities, spa and golf clubhouse. The hotel laundry runs both a dry cleaning and a wet cleaning system. Along with the day-to-day laundry of sheets, towels and catering linens, there are 515 staff uniforms to keep in pristine condition and guest laundry requirements which can be anything from socks to wedding gowns. As well as detergents, Christeyns provided extensive training for the laundry team of 14, who are adept at dealing with even challenging laundry issues as well as the day-to-day running of a very busy laundry. Open seven days a week for at least 12 hours a day, the laundry currently processes on average 41,100 kilos of laundry a month. This will increase in the summer months.